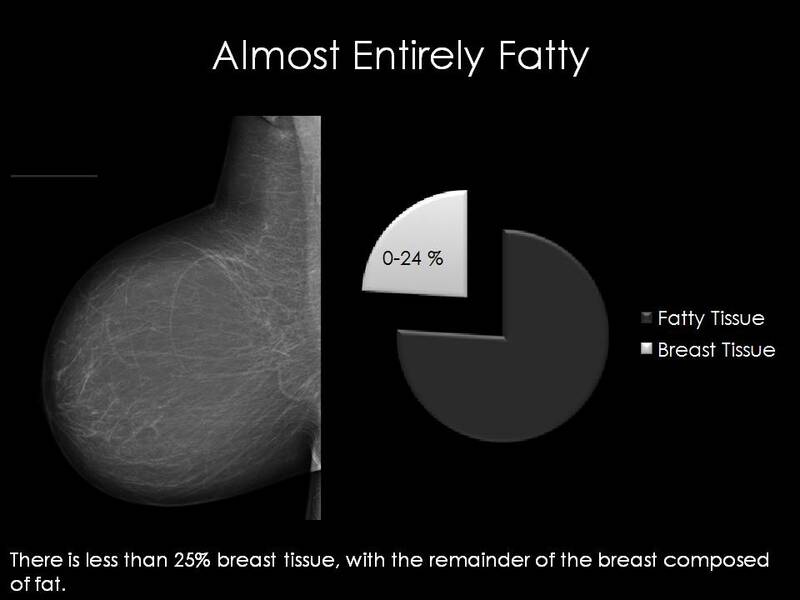 The most common way to measure breast density is a subjective estimate of the amount of breast tissue mixed with fat. 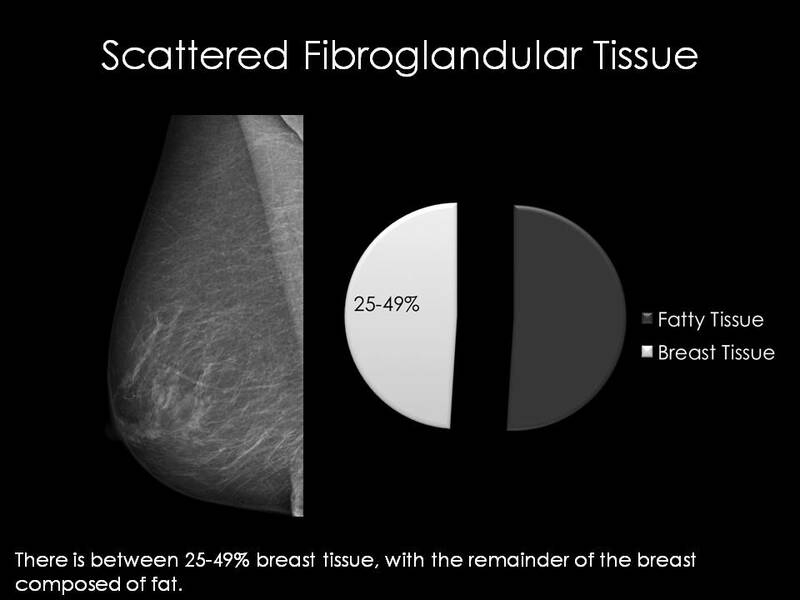 Objective methods for calculating breast density using volumetric measurements do exist, although are not routinely used clinically. Generally, the more breast tissue present, the denser the breast. 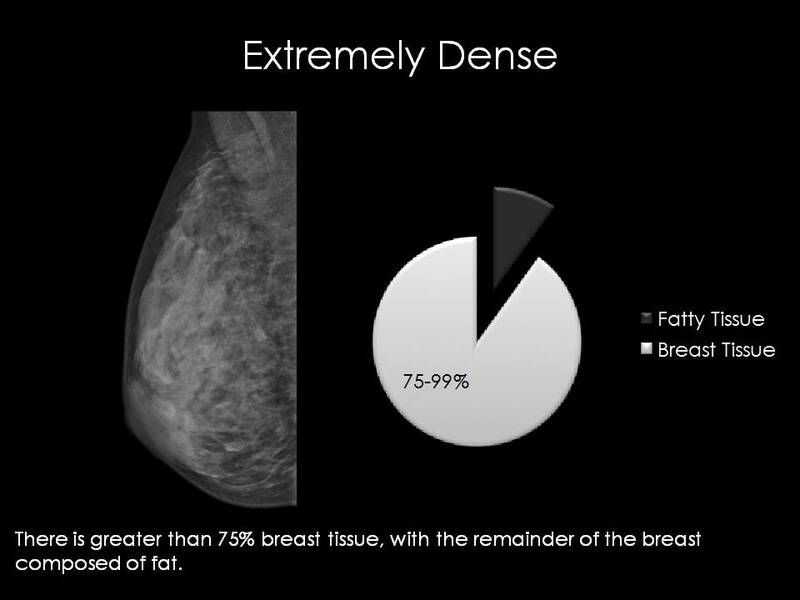 Though density was previously characterized by quartiles, the criteria has recently changed to emphasize the importance of the masking effect in dense breasts (potential for a mass to be hidden in an area of dense breast tissue). 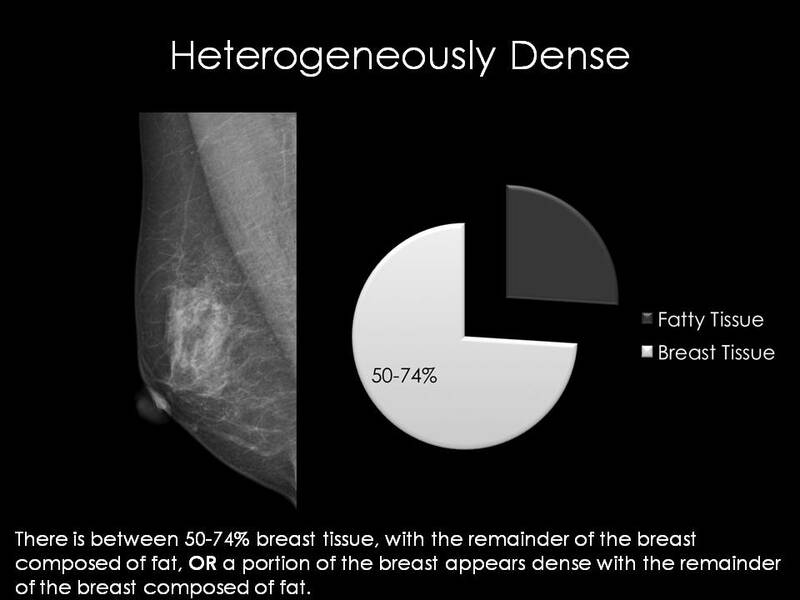 Therefore, if even a small portion of the breast appears dense, the breast is considered heterogeneously dense, despite that the total amount of breast tissue may not be more than 50%.